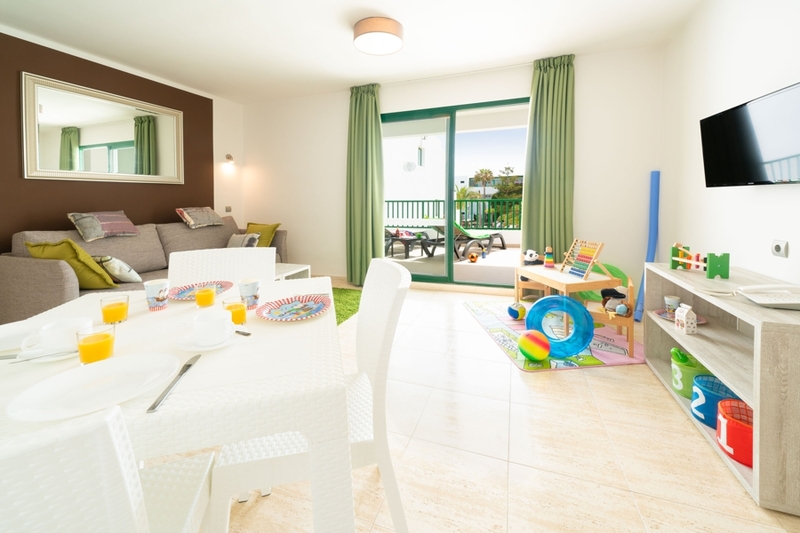 The apartments and Junior Suites have an excellent location overlooking the gardens or the resort pools, and if you wish you can enjoy the incredible views of the white sandy beach of Costa Teguise with our exclusive apartments with SEA VIEW. 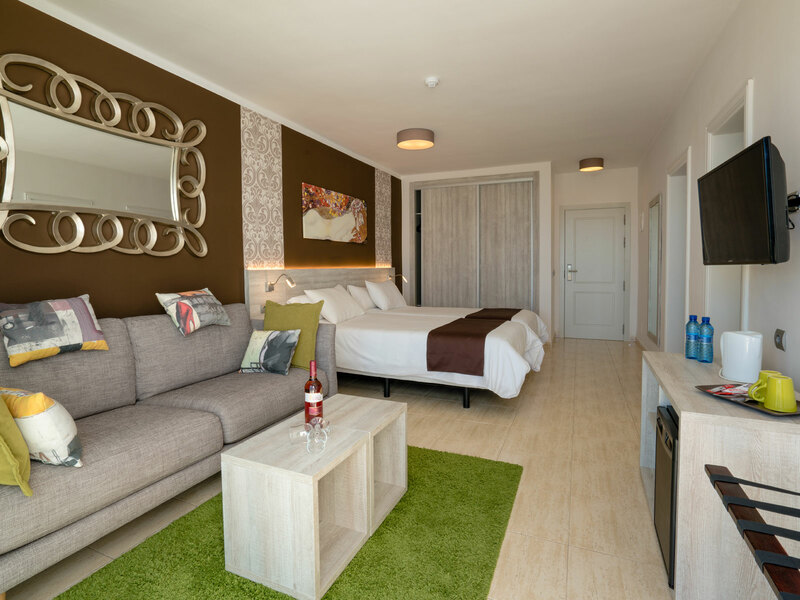 The 141 apartments and 34 new Suites are spacious and very comfortable, built in the traditional style of Lanzarote. You can choose between one or two bedroom apartments or even a study with a kitchen and bathroom. 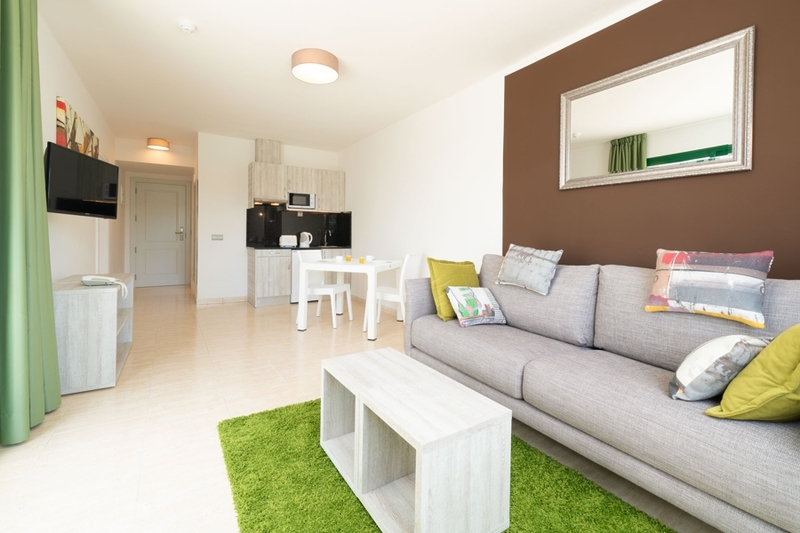 Galeon Playa Apartments are highly equipped with telephone, safe, microwave, oven, toaster, kettle and TV with channels in English, Spanish, French, German and Italian. The terrace is designed to enjoy plenty of privacy for sunbathing with the Lanzarote sunshine. Our child safety standards are adapted to the EEC,and children's products (cribs, high chairs, bottle warmers) are fully guaranteed. We have a rental service highchairs for you to provide maximum comfort for your baby. In Galeon Playa offers rooms for disabled guests. the bedroom and living room integrated into the same space, a bright separate second bedroom. On your private terrace you can sunbathe enjoying wonderful views of the gardens. In addition, upon arrival in the room as a welcome present, you will find a kit of coffee, tea and bottle of water. The maximum capacity of the 1 bedroom suite is 2 adults or 2 adults plus a cot. The maximum capacity of the 2 bedrooms suite is 3 adults or 2 adults plus 2 children. Costa Teguise. These new apartments with views of the gardens or the pool, has a kitchen with kitchenware and a large bathroom with shower. The maximum capacity is 3 adults or 2 adults and 2 children. The third person will sleep in a comfortable extra bed.
. Balcony or terrace gives you the chance to sunbath in privacy. Maximum capacity 3 adults or 2 adults and 2 children. Spacious and comfortable One bedroom apartments, they are equipped with a high self-catering standard and with a magnificent sea view. Balcony or terrace gives you the chance to sunbath in privacy. Family Apartment with 2 bedrooms, spacious and comfortable, all with fully equipped kitchen and bathroom that can be with shower or bathtub *. Includes Smart TV, two bedrooms, each with two single beds. In the spacious living room - dining room, you can rest and enjoy your stay with your companions for a relaxing holiday in Costa Teguise. Some of our family apartments are decorated with pirate theme and in these apartments, one of the two bedrooms is equipped with 2 bunk beds. * The allocation of the apartments is subject to availability. 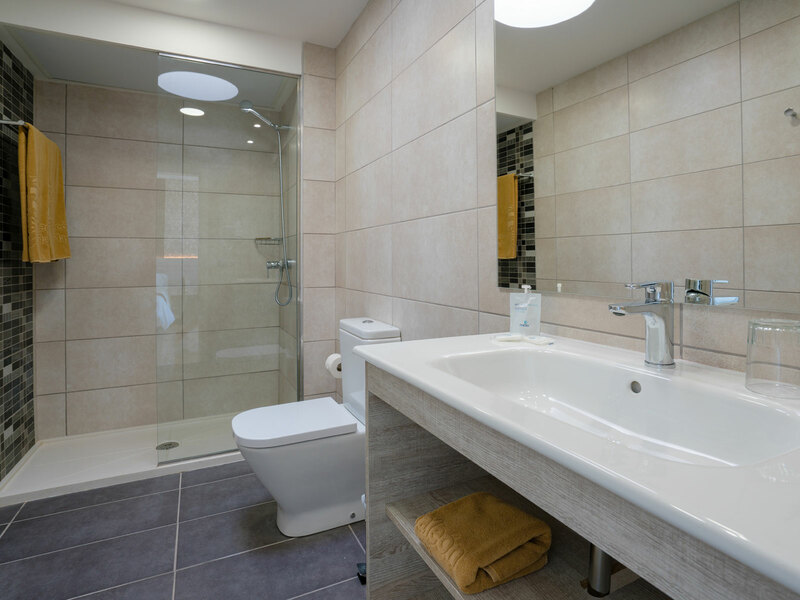 The bathroom of the apartment assigned to you may have a shower or a bathtub. In no case do you have both options. The maximum capacity is 3 adults or 2 adults and 2 children.